On Friday, I debuted my Fall Inspired Party Down ensemble, which included a handmade felt bow tie. 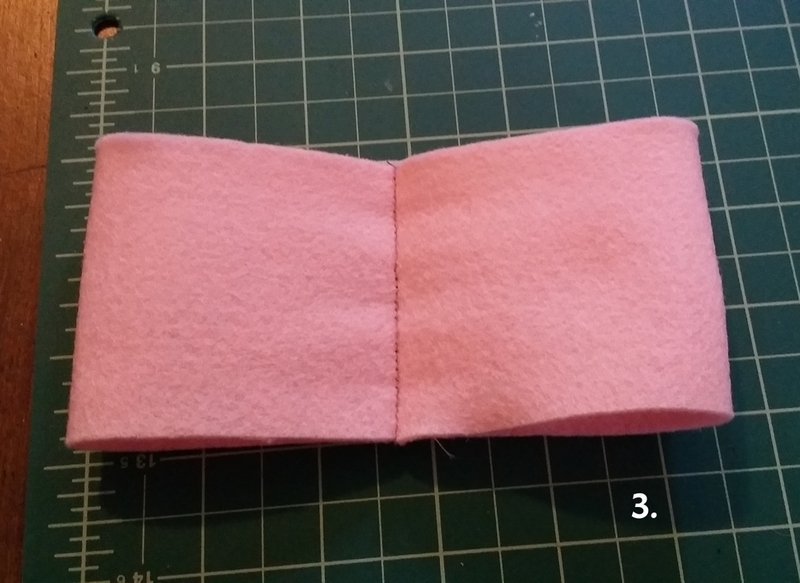 Why buy a bow tie, when you can make one out of Classic 9'' x 12'' Craft Felt (which you can find at various place for $0.35)? I used this tutorial, but altered in places to work for me and the supplies I had on hand. 1. 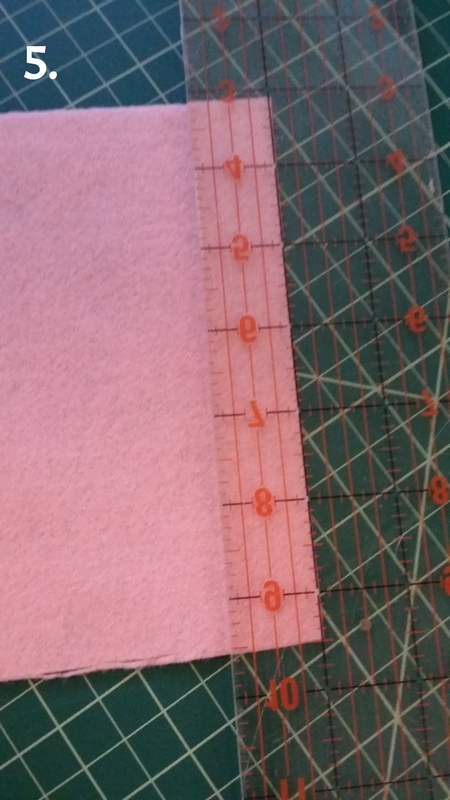 I used one of my husband's bow ties to determine the height of my bow tie and cut a strip of felt accordingly. 12" x 2.75"
2. Sew the ends together. 3. Move the seam to the middle (this will be the back of our bow tie). 4. 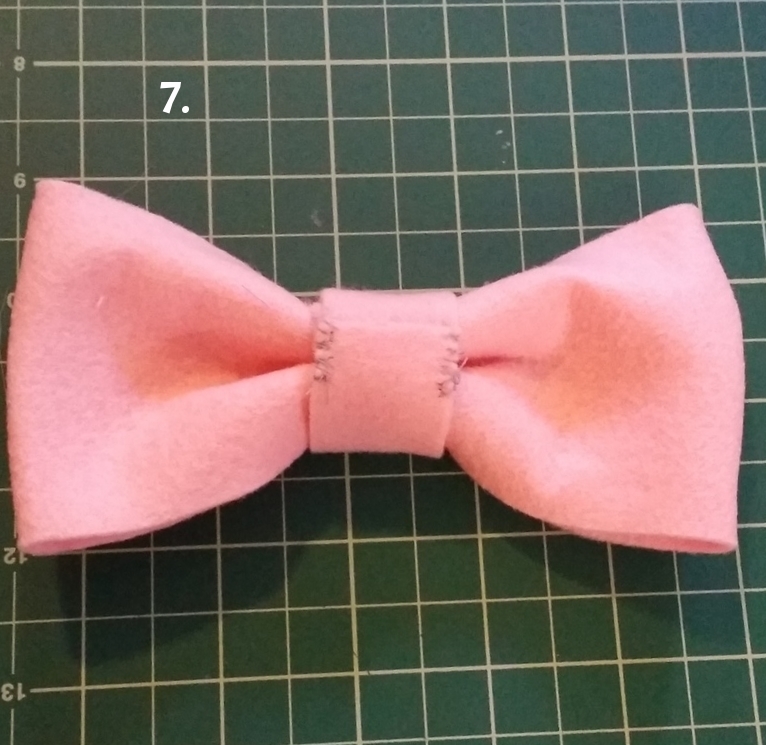 Press the center of the bow tie together (try and finesse / shape the tie in the process) & sewing from top to bottom to set the structure of the tie. 6. Now you have your base and the center section of your tie. 7. Wrap the thin strip around the base (I did a couple of times this until the end was in the back - you could do this shorter if you like. I just erred on the side of caution). 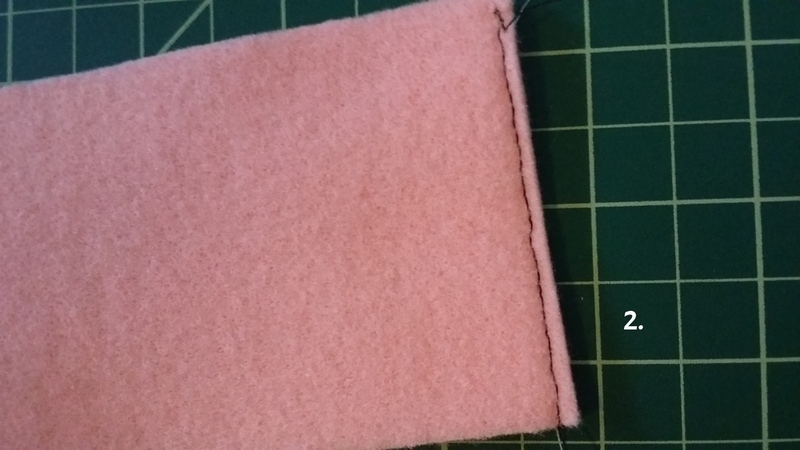 Then sew the back edged of the thin strip to keep it in place. 8. 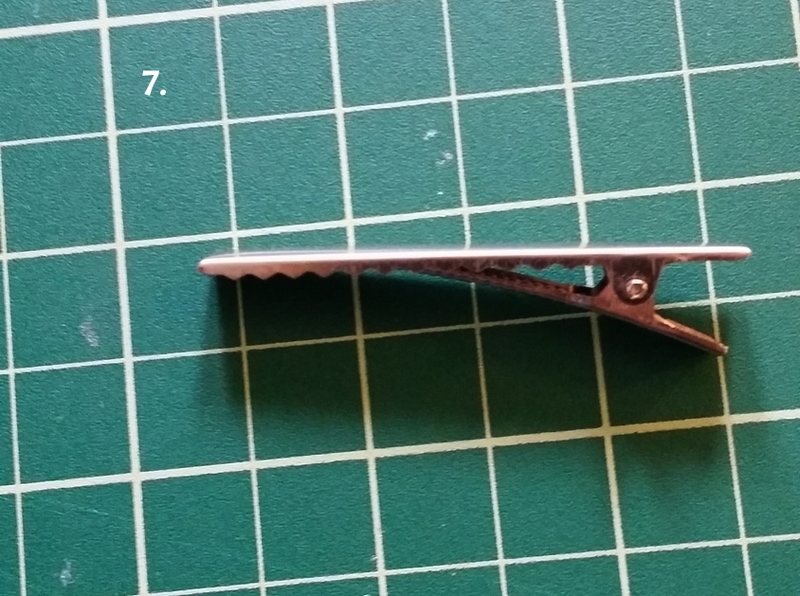 I first tried a bobby pin (but I only use mini ones - so it was too short to work), but settled on a small prong hair clip / alligator clip - shown here. 9. You simply slide the clip into place (you could use one clip with multiple bow ties this way by simply swapping them out).